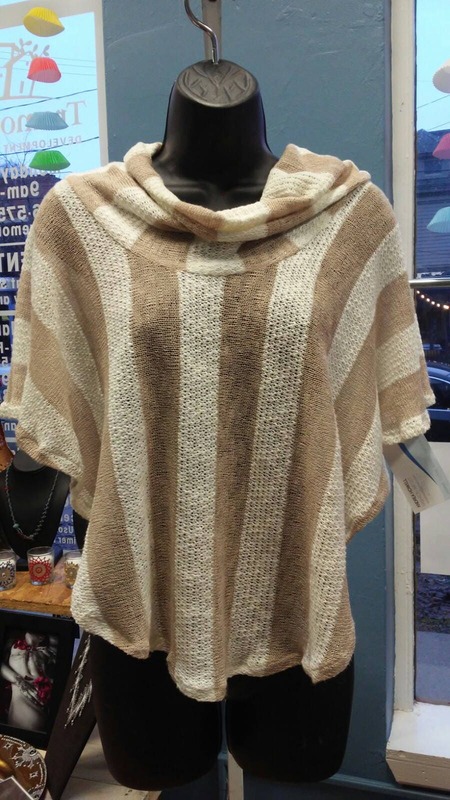 Easy care poncho, casual fit is great for layering over a tank with jeans, or warming up a dress. 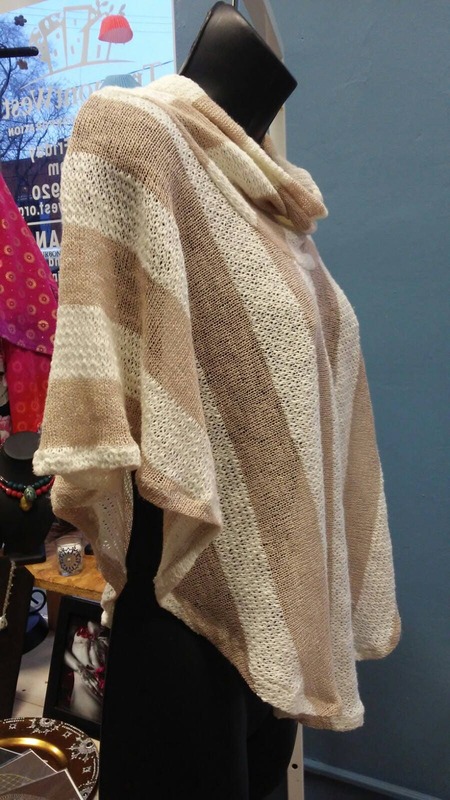 Perfect for nursing on the go or comfy at home. Draped fit, one size fits most. Effortless style, and machine wash/dry fabrics. 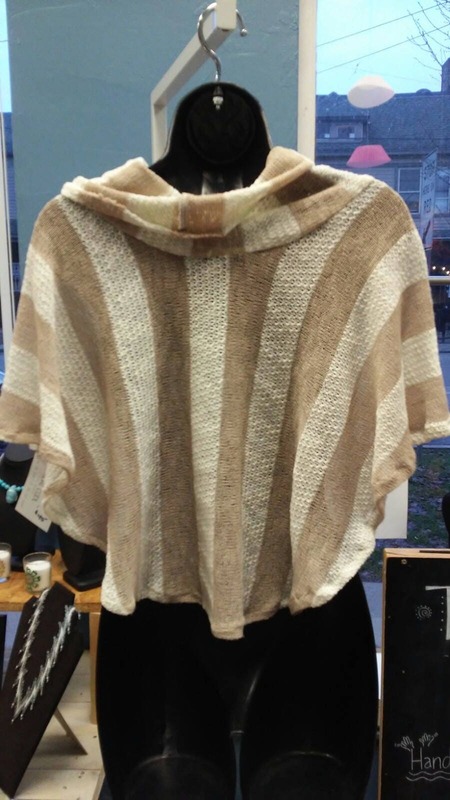 Check out the Tidal Cool Clothing Boutique in Tremont in Cleveland, OH! !